Limit fraud exposure. Nobody can spend more than what’s loaded on your prepaid card. Nobody can use it to run up your debt or clean out the money sitting in your checking account. That makes consumers more comfortable transacting at unfamiliar online sites or potentially “sketchy” establishments. Load a limited budget on the card before making your purchase and set up transaction alerts to keep an eye on activity. If you see something amiss or lose your card, lock it right away, unload any remaining funds, and order a new one. No problem. Replacing a limited-use prepaid card is a lot less hassle than replacing your main bank debit card or credit card. Keep spending within budget. 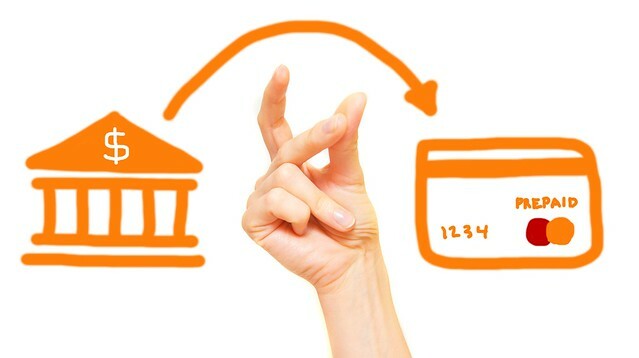 Prepaid cards are a modern upgrade to the classic cash envelope budgeting system. Instead of stuffing cash in an envelope labeled “Clothing”, load your monthly clothing budget onto a separate prepaid card. That way, you can make purchases just as easily online as in stores. It’s the convenience and protection of a credit card, without the risk of overspending. Manage allowance and chore money. A prepaid card is a convenient, safe way to put money in your kid’s hands: no fumbling with small change, easy to use online for gaming subscriptions or purchases, easy to lock and unload funds if lost or stolen, automatic audit trail, and no risk of running up a debt. Much better than cash. Certainly much better than letting your kid use your credit card. An excellent warm-up for adult banking products. Cool. So how do you load money onto your prepaid card from your checking account? This is where things can get tedious — especially the first time through. 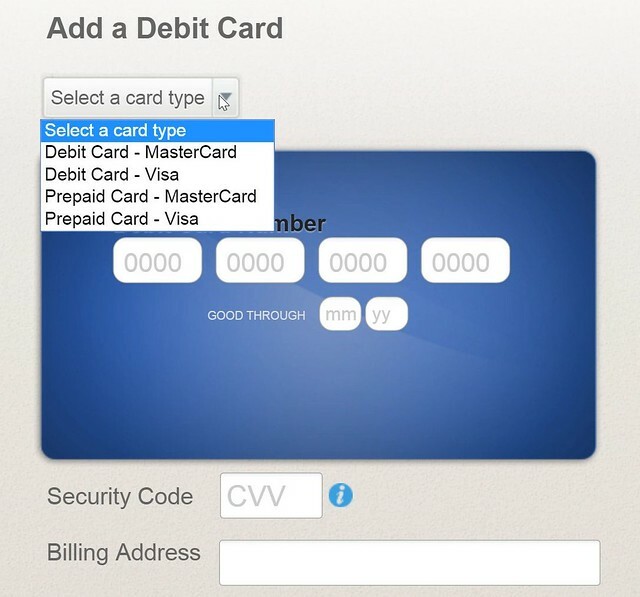 You can probably set your card up as an external account using your online banking service. I did that from Wells Fargo — see here. But some banks are still charging a sizable transfer fee of up to $3 or even more. If you want to avoid the hefty bank transfer fee, you can move the money through a middleman account like PayPal or Amazon Payments. It’s an awkward two-step maneuver though: move money from your bank account into the middleman account, then move money from the middleman account to your card. That two-step, not to mention the initial verification steps when linking your accounts, adds up to an even lengthier load process. So what’s a simple way to load your card with minimum steps, minimum fees, and minimum load time? Before you start though, make sure you get a prepaid card that has its own account and routing numbers so it can receive traditional direct deposits and ACH transfers. Sign up on Popmoney.com and create a profile. Identify your FamZoo card as the recipient of the funds by giving your card a name, selecting Bank Account with Checking as the account type and entering the routing and account numbers for your card. You’ll only have to enter this info the first time. 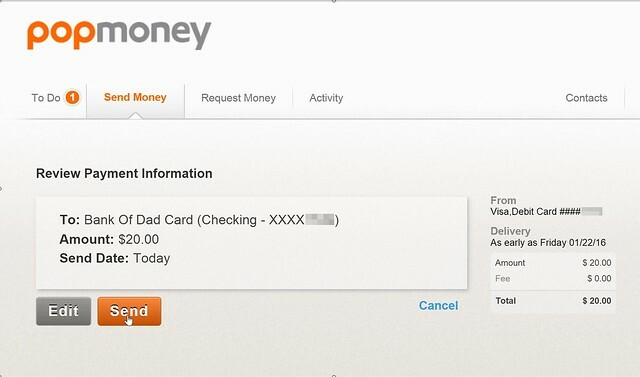 It’s saved for quick selection next time you want to send money to the same card. 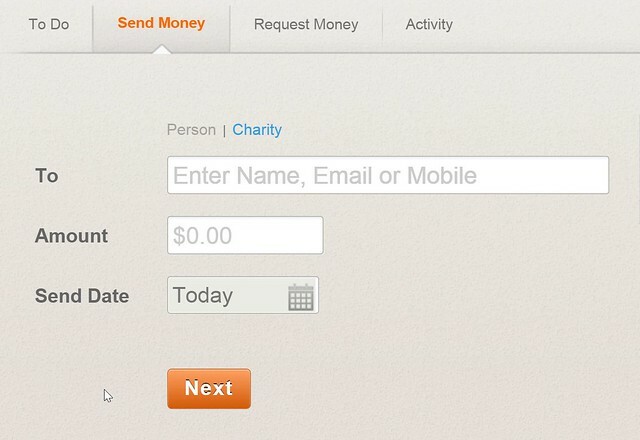 Important Note: you have to click and place your text cursor in the To field before the Bank Account option appears. Enter the amount and send date. 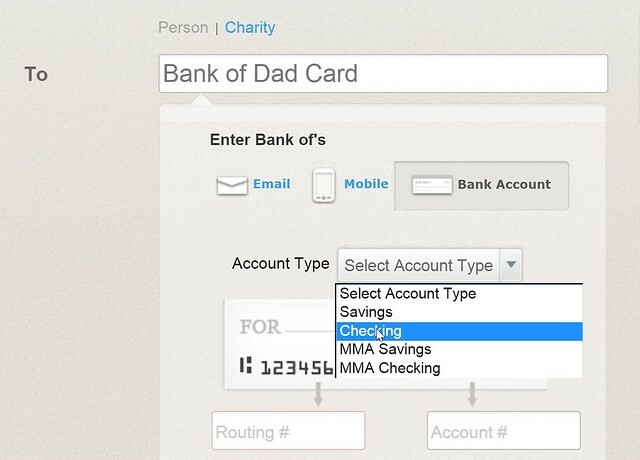 Identify your checking account as the source of funds for your transfer using your bank debit card. You’ll only have to enter this info the first time. 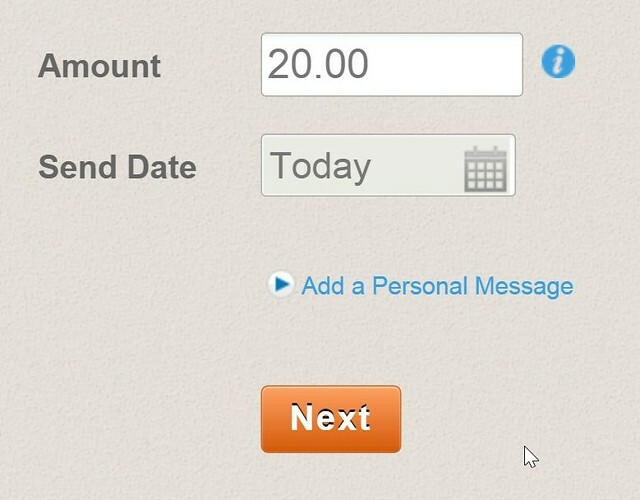 It’s saved for quick selection next time you want to send money from the same account. Note: you can also add your checking account using its account and routing numbers under Settings > Bank Accounts, but it takes a little more verification. Popmoney charged my checking account a 95 cent fee, and the transfer showed up on my FamZoo card the next business day (although transfers can take up to 3 business days in some cases). 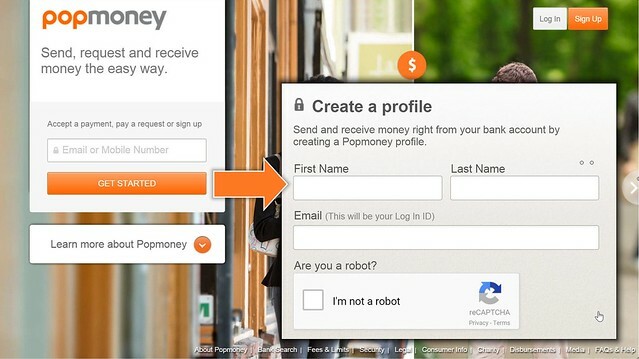 Note: some banks and credit unions offer Popmoney as a free service embedded within their online banking. So check with your financial institution — you may be able to avoid the 95 cent transfer fee altogether. That’s it. Load money on your prepaid card from your checking account with a few steps online for under a dollar within 1 to 3 business days.